It was a 90 plus Sunday which is a great day to be at the lake. 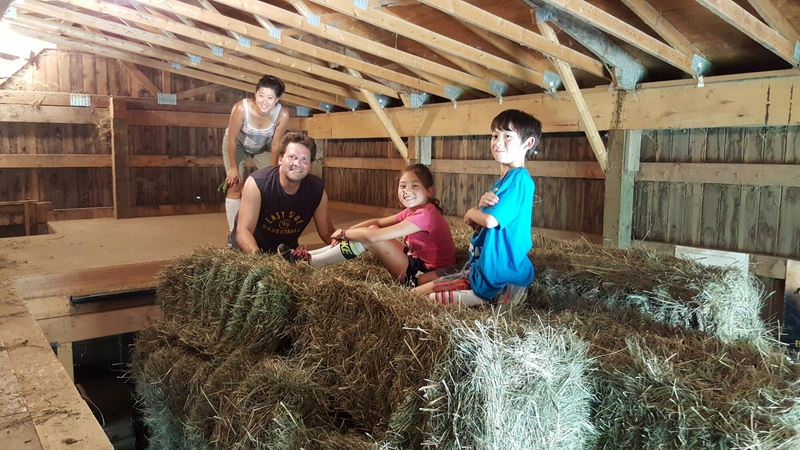 However, storms were planned for tonight so we offered to help the neighbors with their hay. They have previously offered to bail our back field so it was a good trade. 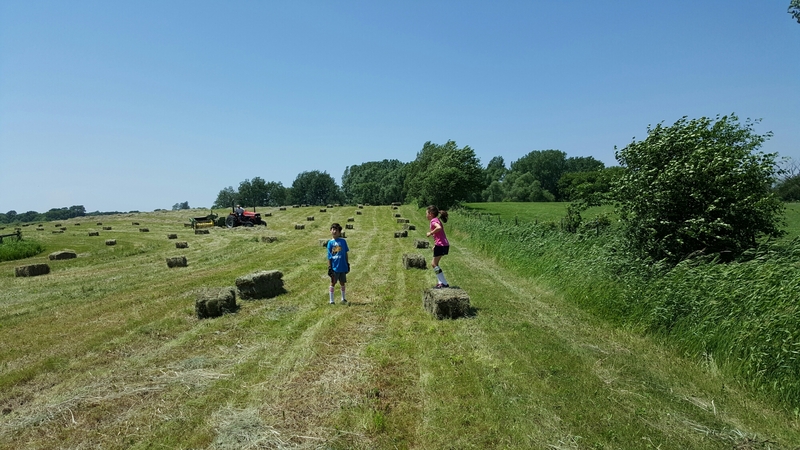 The kids were in charge of raking the hay when it would blow out of the rows, Sadie was in charge of refilling our drinks and jumping on the bails when they werent flat. 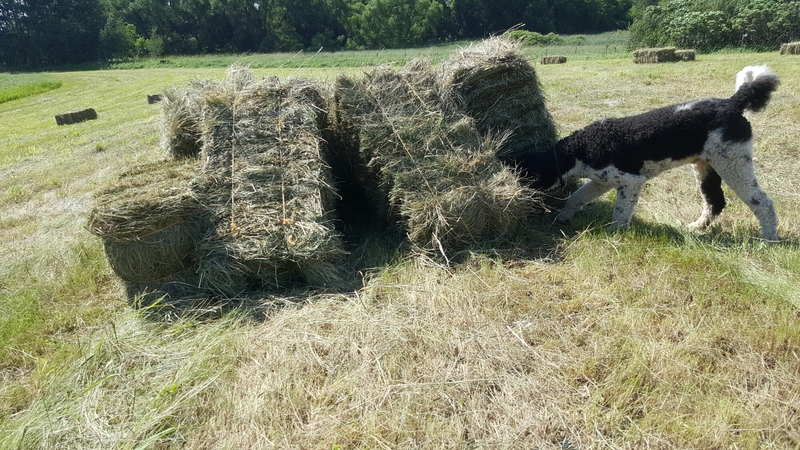 When all was done we were able to pile over 200 bails of hay. This is why I don’t exercise. Eli took a break to make a fort. The neighnor dog was on the hunt for a 10 year old kid. ← Are you smarter than a goat?